A+ Customer Service and Sales experience! Thank you for your dedicated and professional team. You made my purchase a true value-add experience. Leased a 2019 ram 1500 about a month ago from contemporary. Awesome experience would definitely go back when I need something again. Jacob S was great to deal with. We had an excellent experience buying our 2019 Rubicon. Cody and Brian treated us very well and we couldn't be happier.  I would recommend them and the Contemporary team to anyone. It was the best buying experience I have ever had and that is saying a lot because I have had some good ones. Great staff. They really know their stuff. Worked with Clayton. Great sales rep. Made the process easy and painless. The short version... If you want honest (don’t think I have ever used that word about a dealer), and knowledgeable folks to work head to Milford and see for yourself. Make sure you ask for Clayton Bogus or Brian Young. Recently worked with Clayton Bogus, Account Manager and Brian Young, Sales Manager. I Spoke with Brain over the phone and drove down to meet with him, not even knowing he was the Sales Manger. He answer every question I asked and then some. He referred me to Clayton who showed me the vehicles I was interested in, pros and cons of each and answered every question I had. Then we started working with Brian, which vehicles had the best incentives, lease programs etc. Next it came down to the dreaded negotiating of going back and forth from Clayton to Brian. NOPE. Clayton and I stood at the counter with Brian and had an honest open conversation about Vehicle price, leasing options, and what was in the best interest for me and my family. I didn’t even buy a vehicle that day. After shopping around for a month, exchanging countless emails with Brian and text messages with Clayton, and even recruiting professional help.Their pricing and customer service could not be beat. I didn’t get a great “deal”, I got a great price, great customer service, and honest information. Go see for yourself drive the extra five minutes out of the city and at least compare Contemporary Jeep to everyone else. Thank you for all your help Clayton and Brian! Excellent experience thanks to Max Thorpe. Max was able to find the specific vehicle we wanted and although we were out of state at the time the transaction was handled timely and efficiently. Would definitely recommend this dealership.